The NSW Department of Planning has inadvertently revealed to the world a fact that Whitehaven Coal would rather not admit. Contrary to claims by CEO Paul Flynn, the so-called Vickery Extension Project going before the NSW Independent Planning Commission is not a mere “extension” of an existing coal mine. It is in reality a plan for a brand new, major coal hub that will include not only the 10 Million Tonnes Per Annum megamine, a 13 Million Tonnes Per Annum Coal Handling and Processing Plant (CHPP) which will import coal from other mines, and a network of rail spurs to connect other Whitehaven mines in the region such as Werris Creek, Maules Creek, Tarrawonga and Narrabri Underground mine. 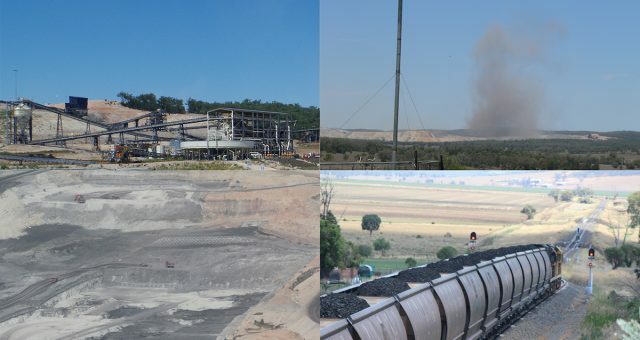 For months, the spin emanating from Whitehaven Coal and the NSW Department of Planning has been that details of the Vickery Project were “well-known” and that it is a project approved in 2014 which didn’t warrant a lengthy Public Exhibition period. The Department and Whitehaven made much of the fact that the basic 28-day period was extended to 42 days, inferring a great level of magnanimity that any extension was granted at all. 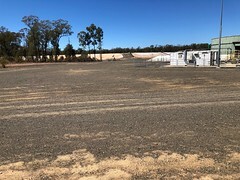 Throughout November, strenuous representations were made by community groups and senior representatives such as Nationals Kevin Anderson MP for Tamworth, whose electorate takes in part of the Vickery Project, calling for a longer extension to allow drought-affected communities more time to assess the 4,000 page Environmental Impact Assessment. 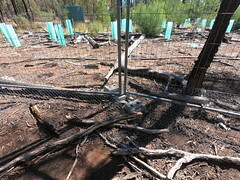 The calls were declined by Planning Minister Anthony Roberts. North West Protection Advocacy has previously reported on some of the submissions that were made on the Vickery Coal Hub EIS, including the NSW EPA which is highly critical of the Vickery project in its present form. Vickery is a small locality just minutes drive outside the small town of Boggabri in the Namoi River valley. Boggabri itself is already suffering from pollution resulting from being a mere 20 km from the Leard Forest Coal Mine Precinct, which currently produces in excess of 20 Million Tonnes Per Annum of open cut coal, and already has around 20 coal trains passing through the town on the Moree-Newcastle railway line daily. They also complain bitterly about the social impacts, which include purported health impacts from coal dust and blasting of overburden which occurs many times throughout the week. The Boggabri residents have a particular grievance about Whitehaven Coal resisting a dust monitor in the town. In June 2017 at the NSW Clean Air Summit, NSW Environment Minister Gabrielle Upton announced the formation of the Namoi Regional Air Quality Scheme, but Whitehaven continued to resist contributing to the cost of a publicly available air pollution monitoring system. But no more. Co-existence with Whitehaven is not possible. The people of Boggabri are saying no to Whitehaven’s Vickery Coal Hub. Boggabri Coal is a 100% Japanese-owned coal mine also near the town of Boggabri. Originally proposed as a “boutique” coal mine, Boggabri Coal gained consent for an expansion to 8 Million Tonnes per Annum. 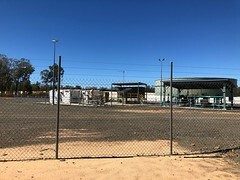 Nevertheless, Boggabri Coal has distinguished itself from Whitehaven Coal and has strong following due to its good faith dealing with the community. 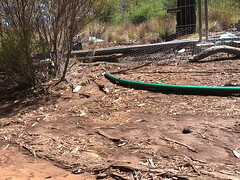 It is carting water to the Heilers without admitting responsibility for the loss of their groundwater.